Mental real estate and top-of-mind awareness are terms that are bandied about frequently in marketing. What do they mean, why are they important, and how do you achieve them in your business? These are the questions we’re going to explore today. How Does Top-of-Mind Awareness & Mental Real Estate Work? If you ask 100 people to name three brands of soda, the first one they name will have achieved top-of-mind status for that individual. In total, there will only be a handful of brands that will be mentioned (Coca-Cola, Pepsi, 7-Up, Dr Pepper, Mountain Dew, etc.) Those brands occupy a large portion of the mental real estate dedicated to soda among those sampled individuals. It’s an enviable position to hold. 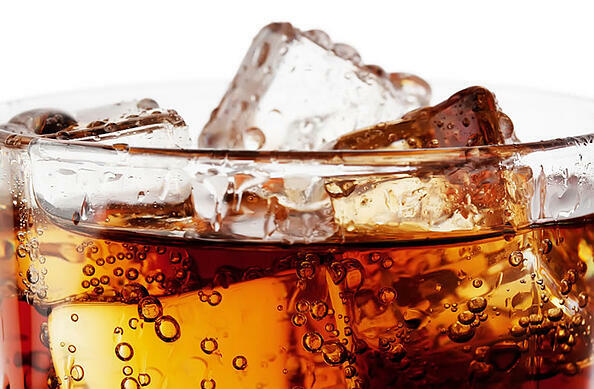 When you consider the rankings of the best selling soft drink brands, it’s easy to draw a line between mental real estate and overall market share. In some parts of the country, the Coca-Cola brand has reached such prevalence that the word Coke is used to describe any brand of soda, much in the same way that Kleenex is often used in reference to any brand of facial tissue, or Rollerblades for inline skates. How’s that for a crowning achievement? Your brand name being used as a general descriptor for products in your category. The scenario is a bit different for small or mid-sized companies. If you asked 100 people to name three local plumbers, the results will be significantly different. Some may not be able to name three (and perhaps they won’t be able to name a single one). Whereas in the soda wars, the vast majority of mental real estate is divided among a relatively small number of brands, chances are that the mental real estate is split up by a much larger number of plumbing brands. This is why the BrandsFormation® System works so well. It turns your good local business into a great local brand. Why Should You Care About The Mental Real Estate Occupied By Your Brand? How do you think you would fare in the top-of-mind test in your business category? How many members of your target audience know and recall your name? Would it be the first one that would come to mind? When your brand is top-of-mind, you will be more likely to be who they turn to when they need your product or service. Be careful, though. You must be sure to have top-of-mind awareness for the good reasons. After the Exxon Valdez ran aground in Alaska causing a massive environmental disaster in 1989, Exxon achieved very high brand awareness for very negative reasons. You can read more about the company’s reputational damage in this article from The New York Times. There are countless examples of local companies getting into hot water in area news because of some sort of scandal perpetuated by an owner or employee. The first step to achieving top-of-mind awareness is to increase your brand recognition. Members of the public (and more specifically, those within your target customer audience) must be introduced to your brand, get to know who you are, what you do and what sets you apart from the rest. This is done through consistent, clear, and engaging messaging across all your marketing activities. Of course, radio can (and does for many businesses) play an important role in reaching that audience. Engagement strategies on social media, in conjunction with your overall marketing strategy, can help to build upon your brand recognition to create a relationship of trust, grow your reputation as an expert in your field and eventually occupy more mental real estate for your category. Before long, your brand can be the first that comes to mind. Our marketing consultants can assist you to develop a comprehensive marketing strategy that is geared toward improving your brand’s mental real estate.